Make a project for "Graduation". 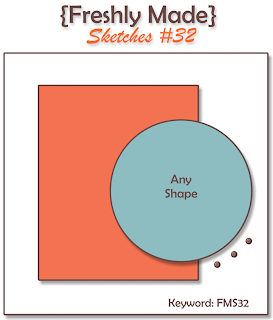 Or Make a project using " Text or Definition Stamps and/or Paper". 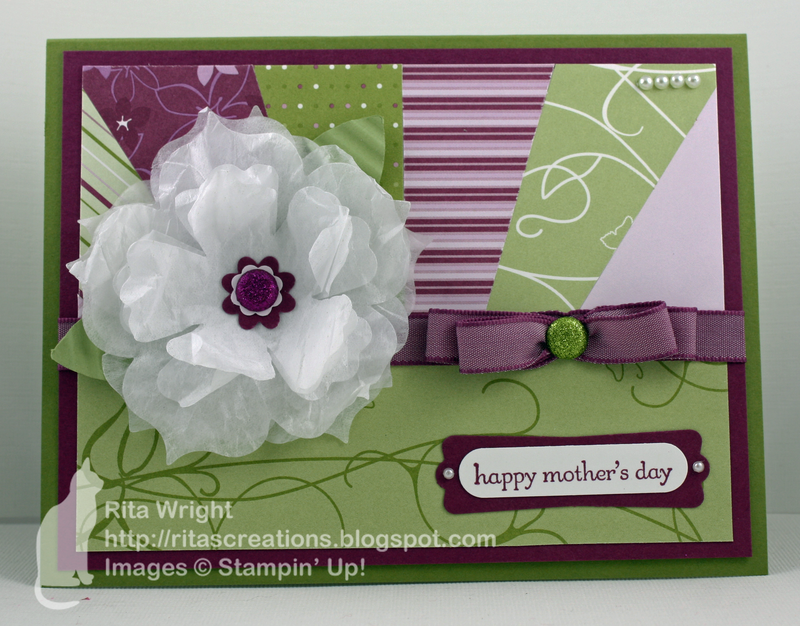 Or "Mash it Up" and create a " Graduation project with Text or Definition stamps/papers". 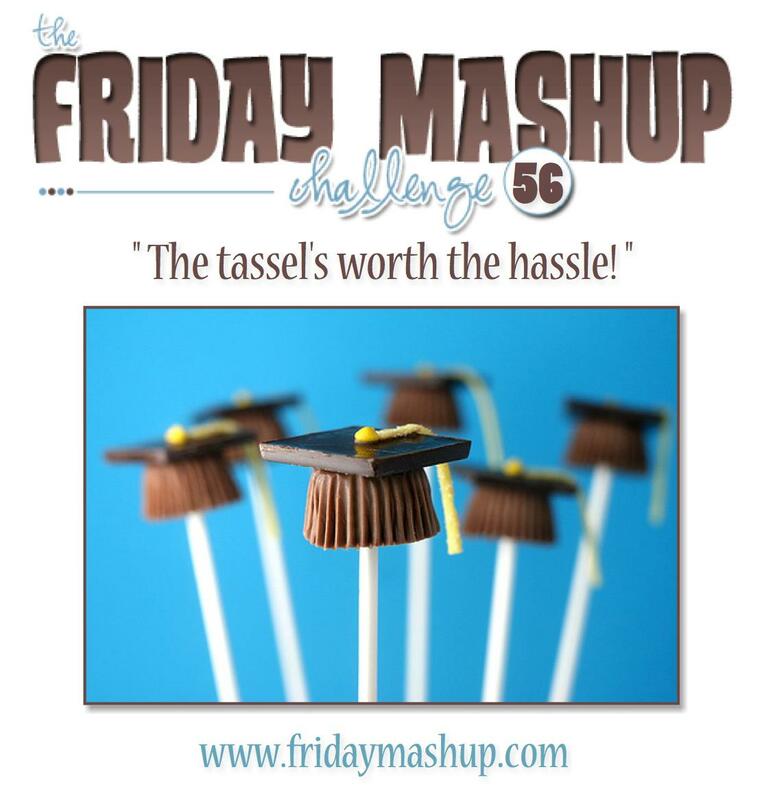 Friday Mashup time! This week our challenge is to use text stamps/paper or to make a graduation card. I did both with my card this week which wasn't easy considering we don't have any current graduation stamps! What do you think? Does it pass for a graduation card? :) I tried to use colors from one of the local high schools to make it work a bit better. I hope someone will appreciate it. I'm all shopped out and tired, so I'm keeping it short tonight. Please come play along with us this week! We love seeing new players as well as our regulars. My mom is visiting for the new few weeks and helping me do a few projects and LOTS of shopping! 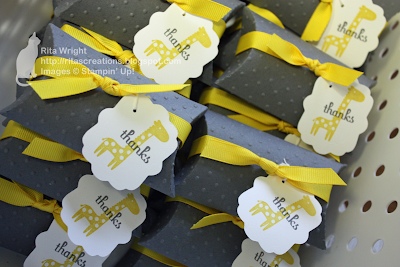 Today we helped out my friend by putting together the favors for my shower. I still can't believe it's next weekend. I'm a bit nervous that nobody is going to show up, but if they don't, there's loads of chocolate in these guys. I can drown my sorrows until I get sick of Hershey Miniatures! They do feature some retiring products, the pillow box die and Fox & Friends. I'm sure going to miss both of those, but I'm sure there will be something cute in the new catalog that I'll love too! Before I sign off for the night, I wanted to get this off my chest. There's been quite a bit of uproar this week among demos that makes me sad. 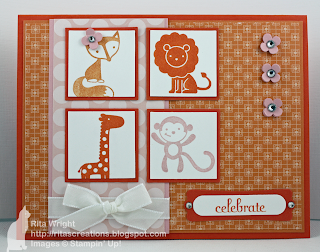 After losing Eli, stamping kept me sane and truthfully, it probably kept me alive. Signing up as a demonstrator allowed me to make some amazing friends from all over the world. 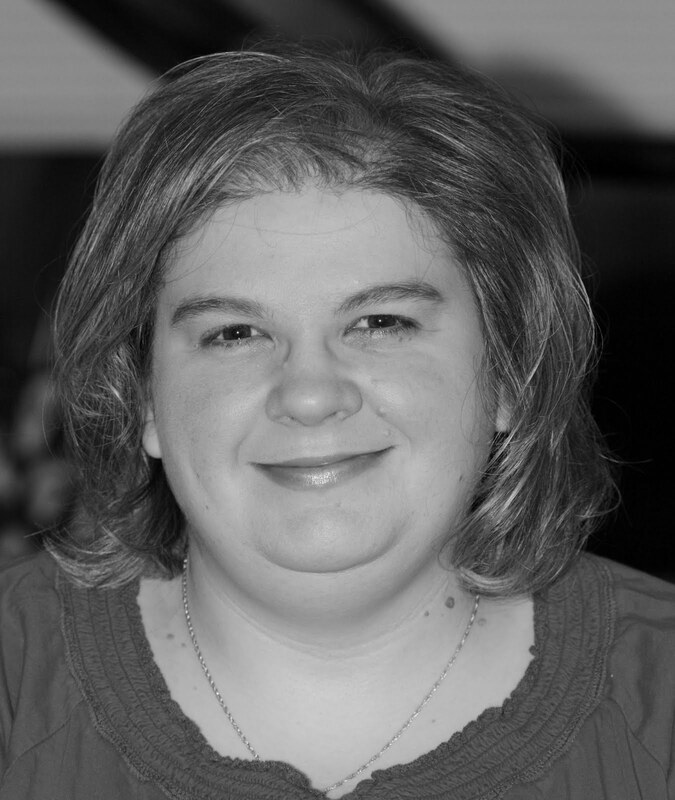 I enjoy chats with my friend Kathy from Australia, text Mindy and Marla, and email with all my design team buddies frequently. 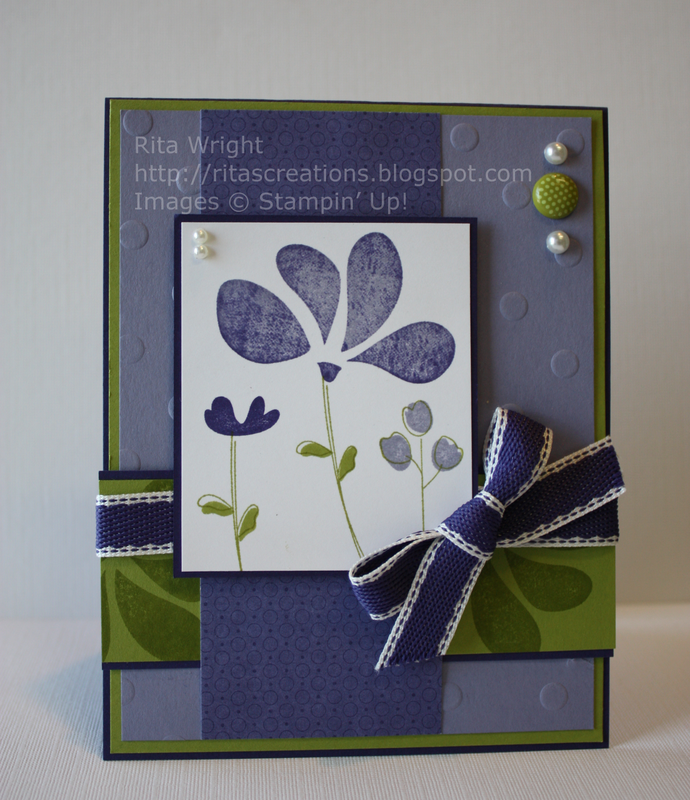 I don't have a biological sister, but Stampin' Up! has given me lots of them that all share my love of creating. While stamps and brads come and go, those relationships are enduring and make my life much happier. I'm not one to look on the positive normally, but I've learned what things are worth getting upset over and retiring supplies are pretty low on my list. I know the economy is tough as I'm on a budget myself. I also know that I buy way more than I need and the amount of retiring products that I have is a sign that I need to be more careful with my purchases and really use what I buy and only buy what I love. Sometimes the lessons we need to learn in life come in a way that knocks the wind out of us, but we just have to rest for a minute and keep on trucking. 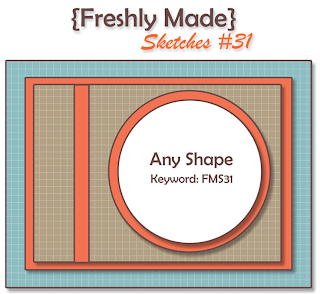 Time for another fun sketch from Freshly Made Sketches! Linda is our hostess this week and has a clever sketch for us. 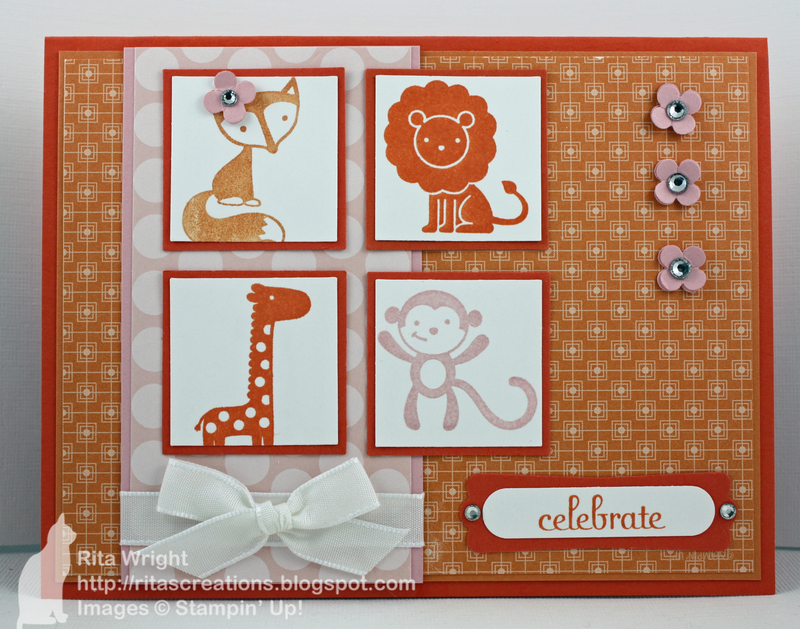 I wanted to try out some different colors for my card this week and I figured Tangerine Tango was about as different as they come...for me anyway! I paired it with Daffodil Delight for a really bright card. :) Here's my second attempt after the awesome Jen Timko nudged me to try a square card. My first card was a normal A2 card that still resembles the sketch, but is definitely a more liberal take on it. Either way you want to interpret it works, so be sure to come and play along with us this week! I'm not sure you can really see the technique. :( I used En Francais on the background piece and the Pink Pirouette is a bit light to really make it stand out. I'm trying to adjust to losing Blushing Bride next month, but as of right now the other pinks aren't working for me! I pulled this combination from the Color Coach and I like it, but it probably wasn't the best to show off this particular technique. I did use another retiring set, Vintage Vogue. 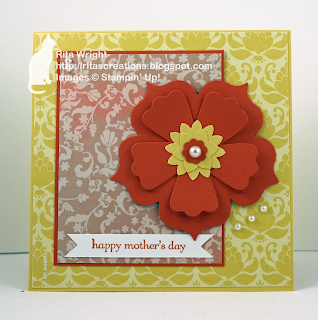 Even though I despise fussy cutting, I always seem to do it with this set. It just looks so pretty to pop up the flowers! I really enjoyed making it and think that technique is a great way to use up some of the designer paper I've been hoarding saving. In fact, I had so much fun that I made a second one! Stay tuned tomorrow for the list of stamps that will be retiring! Make a project using "Your Favorite Muppet Color Combo". Or Make a project " for kids". 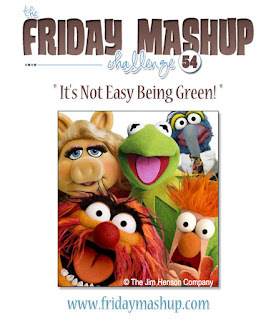 Or "Mash it Up" and create a " Project for a Kid using your Favorite Muppet Colors". Don't forget to tell us or Show us who your Favorite Muppet is! 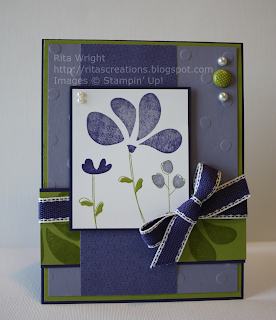 I wasn't sure exactly what Stampin' Up! colors Beaker would translate to, but I settled on Blushing Bride, Peach Parfait, and Tangerine Tango. 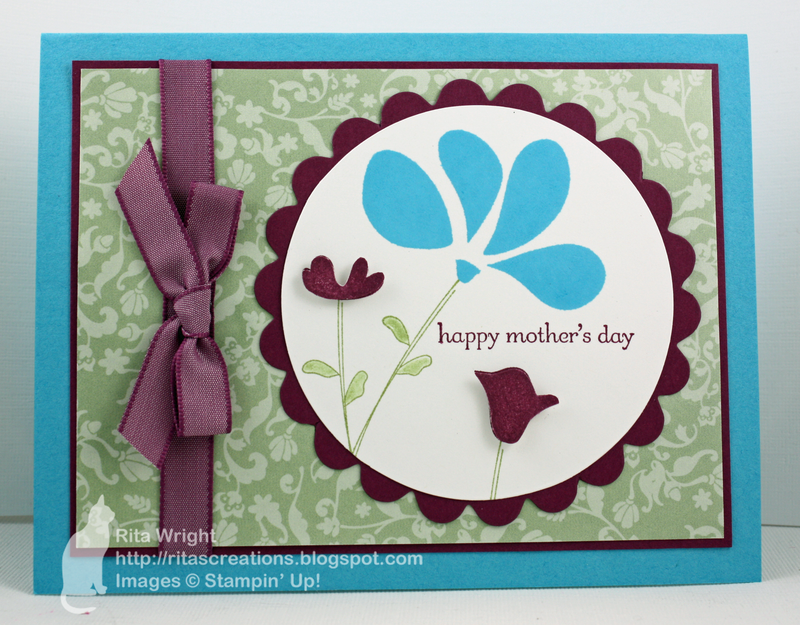 I hope you enjoyed my card for this week and will find some time to come play along with us! 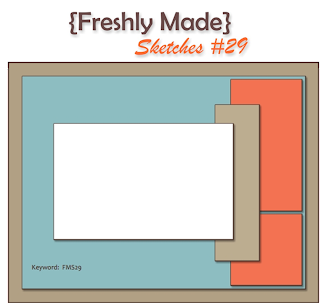 Tui has a very fun sketch for everyone this week at Freshly Made Sketches! I love it, but I had a horrible time deciding on which stamp set to use. I've been trying to give my neglected sets a bit of love, so I ended up going with a retired hostess set, Love & Care. This was one of those sets that I had to put in a last minute order to get before it retired. :) I haven't used it nearly enough, but I do love it. In addition to neglected sets, I've been trying REALLY hard to use up some of my designer paper that will be retiring next month. I really love the Cheerful Treat designer paper that is in the hostess section of the current catalog. It's so bright and fun! 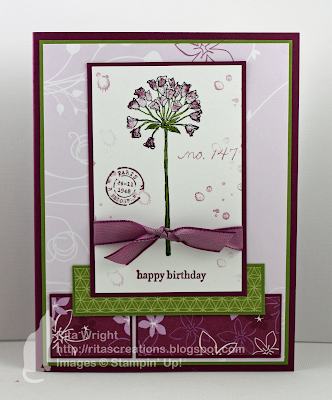 I used it last week for my Friday Mashup card and decided to pull it out for this one as well. 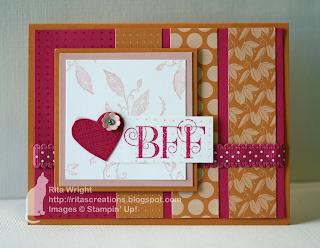 I also used my new stamp set that I chose for winning Shellie's challenge, Fabulous Phrases! 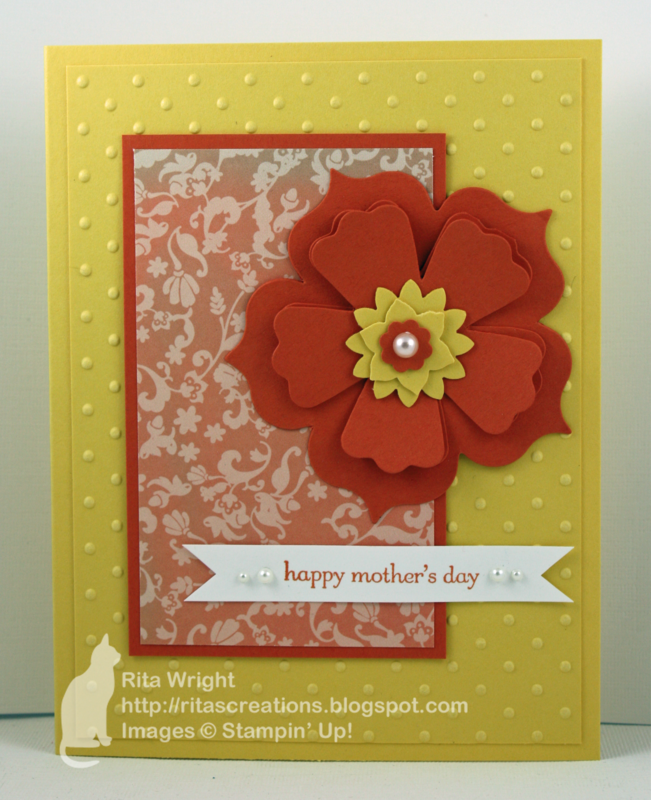 I hope you'll check out the other gorgeous creations from the designer team and our fabulous guest designers! On a side note, I found out last week that I did pass that awful glucose tolerance test! Unfortunately though, I'm anemic. :( I hope that explains the extreme tiredness and shortness of breath that I've been dealing with. I'm taking iron supplements now (which brings a whole other set of issues!) and crossing my fingers for some energy and mojo to return soon! I just had to demonstrate Send Me Soaring before the mini catalog ends this month. It is one of my favorite sets and so perfect for this time of year! 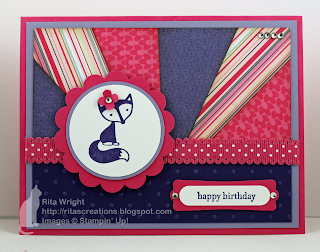 I made over one of my Friday Mashup cards because I just loved the colors and design! 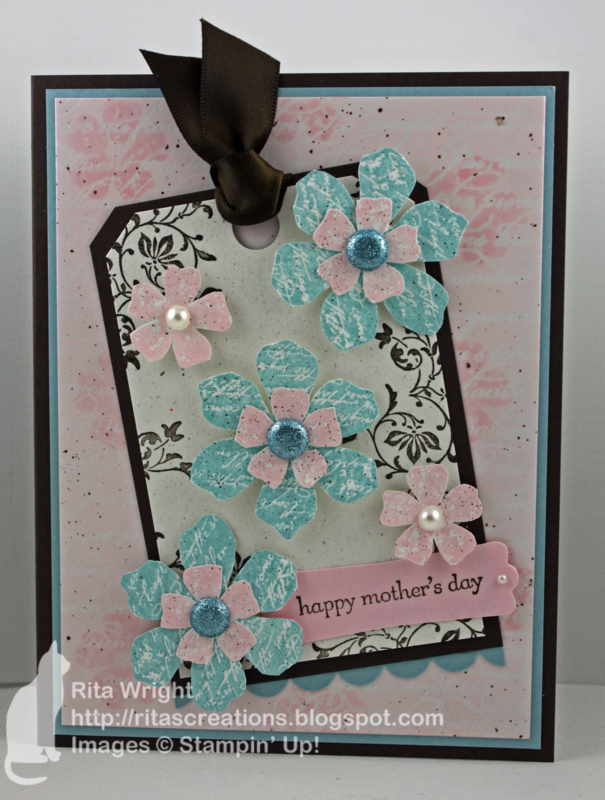 For our technique card, we used the Distressing Essentials kit and the Stained Mosaic technique. I love the vintage look of this one. Soft Suede works so perfectly with the Tea Stain ink from the kit! Here's what I did yesterday. Easter is one of my favorite holidays because I just love bunnies, baskets, and hiding eggs! I couldn't resist putting together a little basket for Laila. I'm pretty sure Jason thinks I've lost my mind, but I'm just SOOOO excited and love her so much already. Finally, I wanted to mention that I did change the comment settings on my blog. I had allowed anonymous commenting for a while, but someone left a hurtful comment the other night that really upset me and it is now off. I hope from here on out that anyone who has any issue with me or my work will have the courage to email me so that I can at least defend myself. To be accused of copying someone else's work, especially when it is untrue is very hurtful. I believe I know the particular card this person was referencing and it was made almost 4 months after mine. After having my cards repeatedly copied with no credit and my photos even taken at one point, I'm very sensitive to this issue. I try so hard to always give credit back if I am inspired by another person's work. As a human, I'm not perfect of course, but I do try my best. Anyway, sorry to those who were able to comment before but won't be able to now. 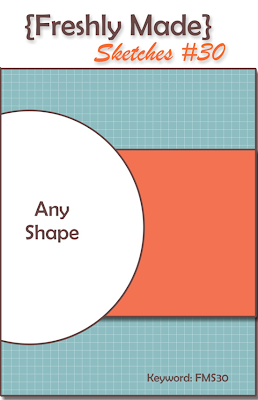 Make a project using " a Special Fold". Or Make a project using the " Tic Tac Toe Board". 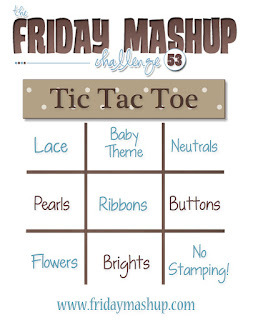 Or "Mash it Up" and create a " Special Fold card using Tic Tac Toe". Here are some links to get your started Criss Cross Card, Double Z Fold, Joy Fold Card,Six Fold Card. You can find more Special Folds in the Resource section atSplitcoaststampers.com. I know exactly what you're thinking! How fun is this challenge?! I hope you didn't trip as you were running to your craft room to get started on your project. :) So many possibilities for a card that it's hard to pick which squares you want to pick for the "win". 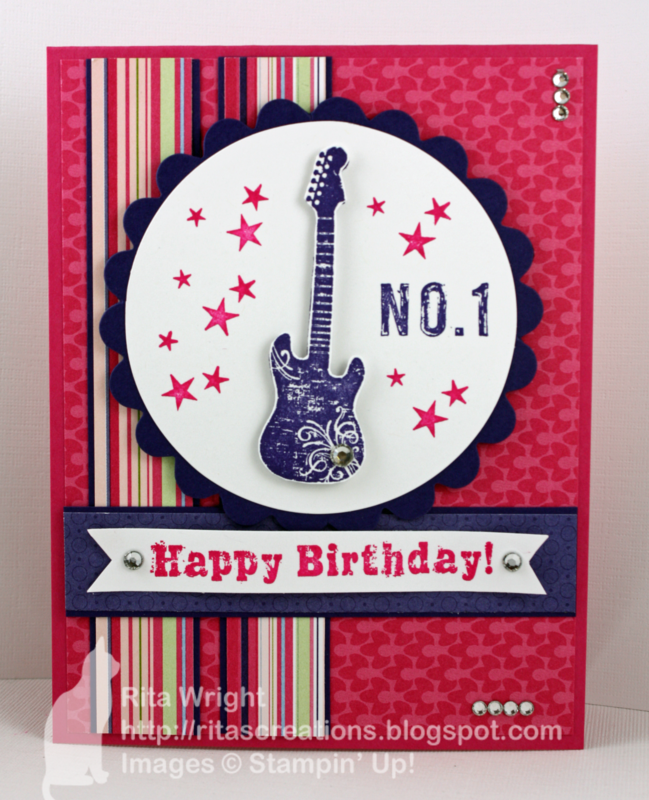 Be sure to check out all the fabulous cards from the design team at The Friday Mashup. So I went straight down the middle and used the baby theme, ribbon, and bright colors. I'm a bit obsessed with giraffes right now, so pardon the retired set. :) I also wanted to use up some soon-to-retire products, so I pulled out the Cheerful Treat designer paper and the Concord Crush ribbon! I think it all works together pretty well, huh? It makes me smile at least. I didn't even attempt the mashup this week. I have a bad case of the baby brain and that was just too much thinking for me. I hope you'll join us for this awesome challenge! Because my mojo is still not at its best, I had trouble again this week! I finally pulled out one of my favorite (and unused) designer paper packs and a soon to retire hostess set. I thought they worked okay together, but I'm not sure about the French Foliage accents I decided to add. It seemed too plain without them, but almost too much with them. I think this baby brain thing has just killed my poor creativity and ability to make nice cards. I get one every now and then, but not too often! I'm glad you guys haven't run away and keep visiting anyway! Before I go, I thought I'd share a picture of the progress we've made on Laila's room. Jason has been working so hard this week. He painted for almost 9 hours on Sunday, disassembled and reassembled furniture, and helped move so much stuff. I think we just need some fun accents in yellow, a crib dust ruffle, the ceiling fan installed, and some wall art and it should be about ready!